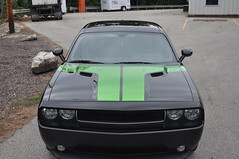 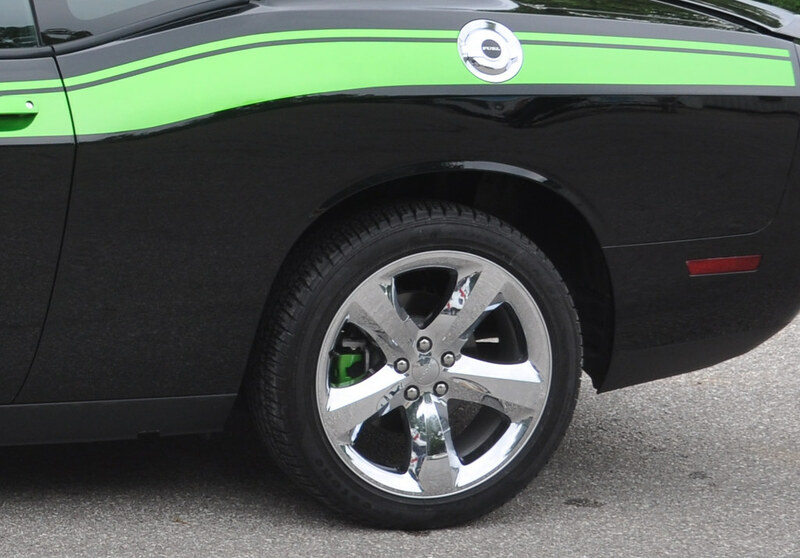 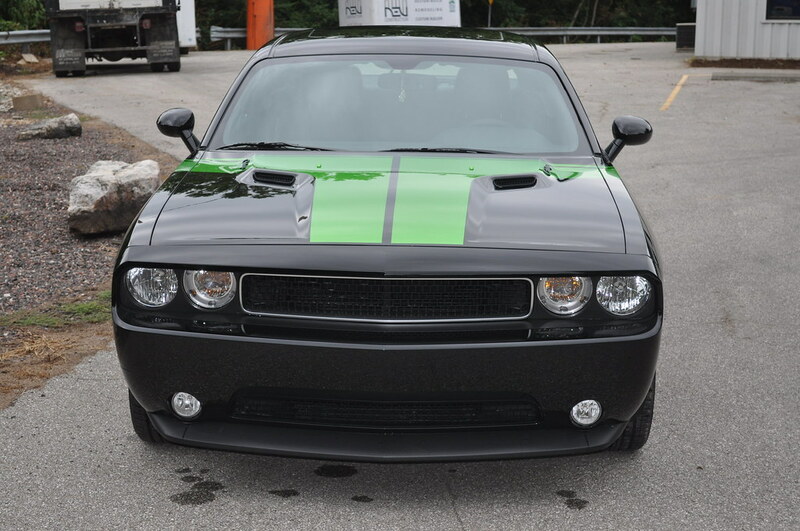 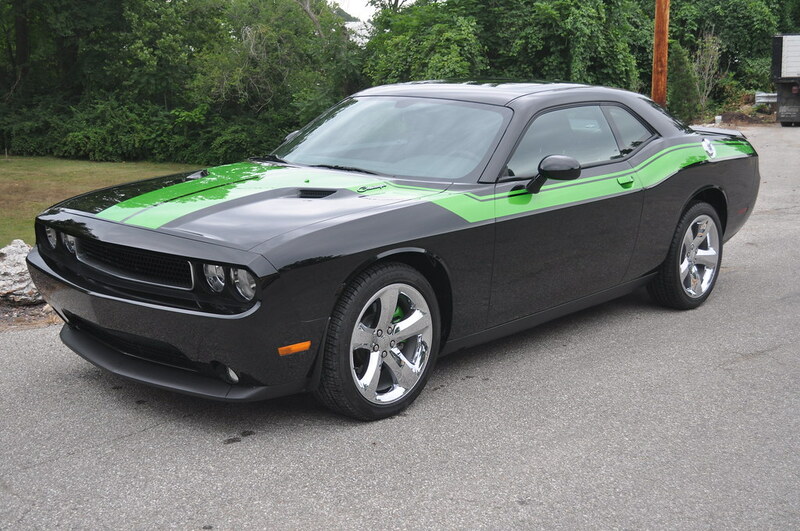 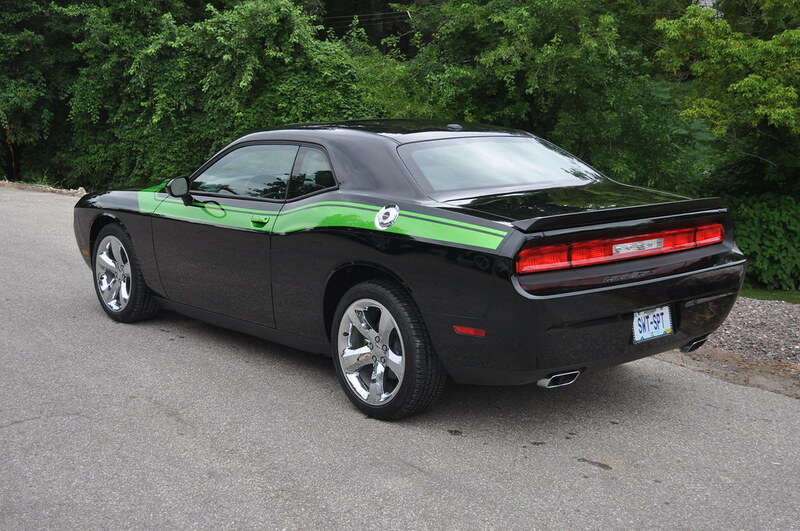 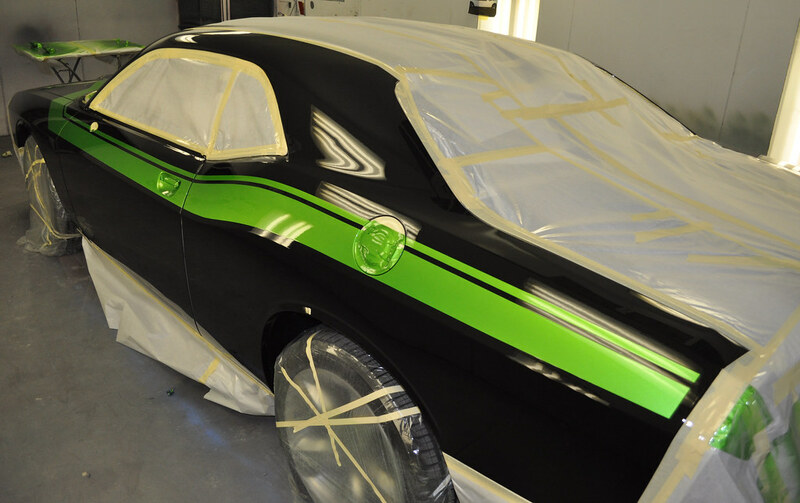 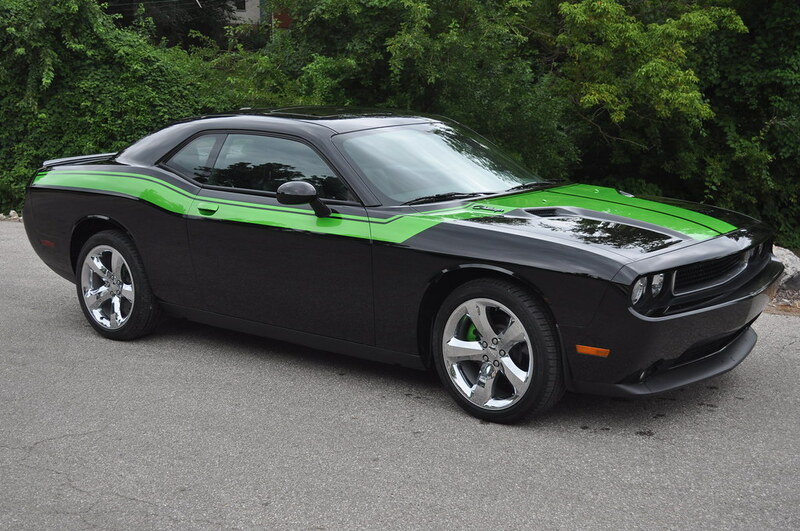 This new 2013 Challenger was brought in for some custom stripes, retro script embalms & custom painted brake calipers to match the stripes. 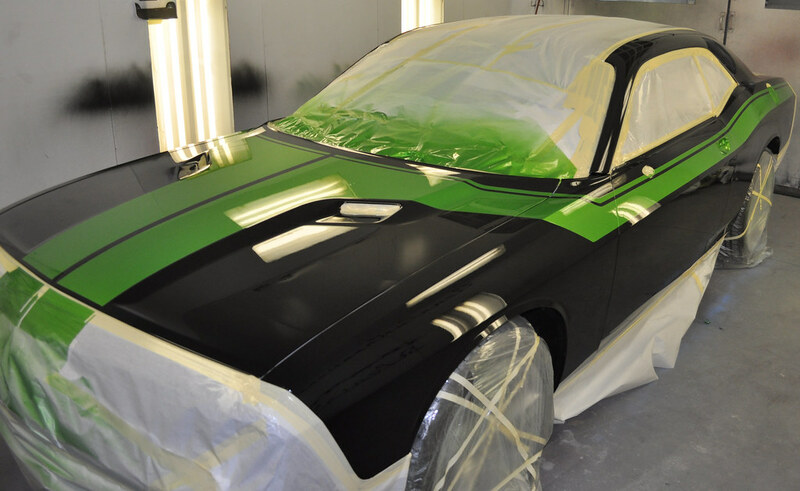 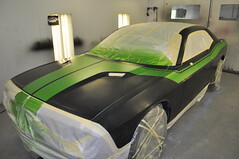 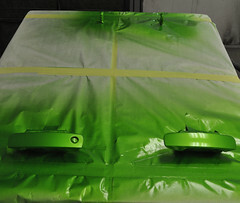 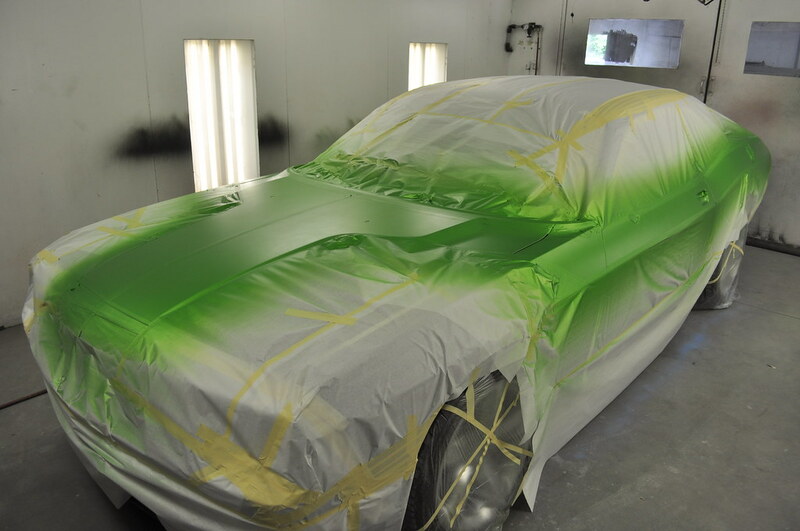 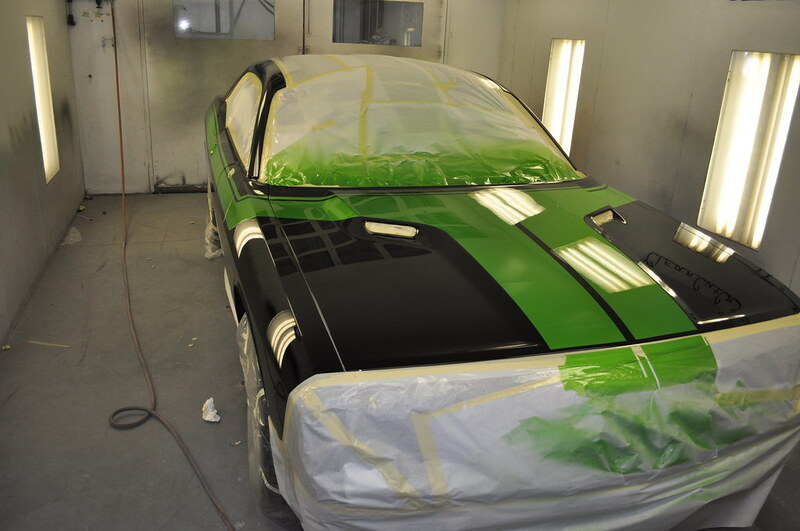 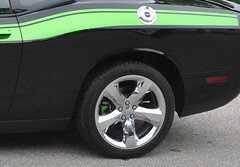 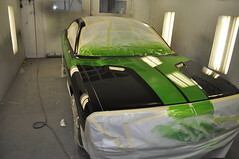 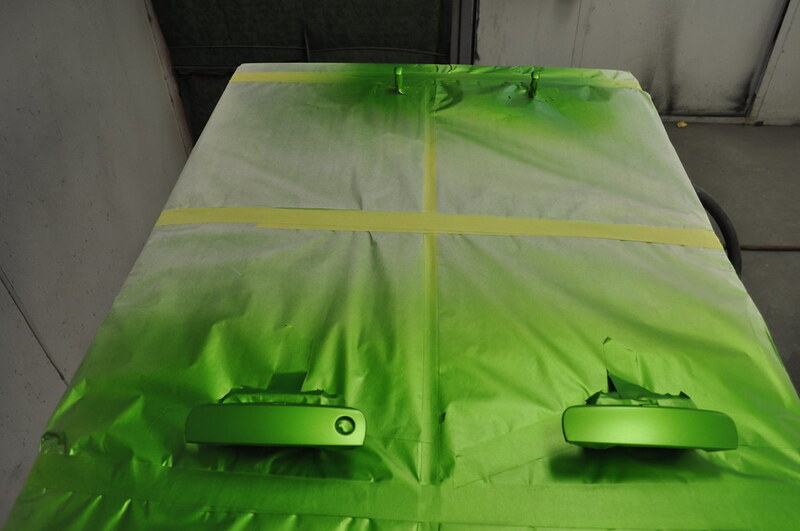 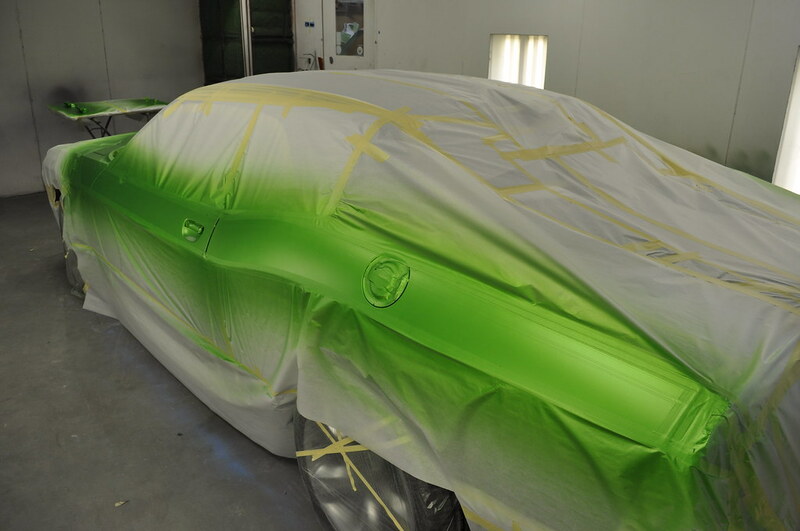 The owner picked out Dodge Viper Snake Skin Green for the stripe color & brake calipers. 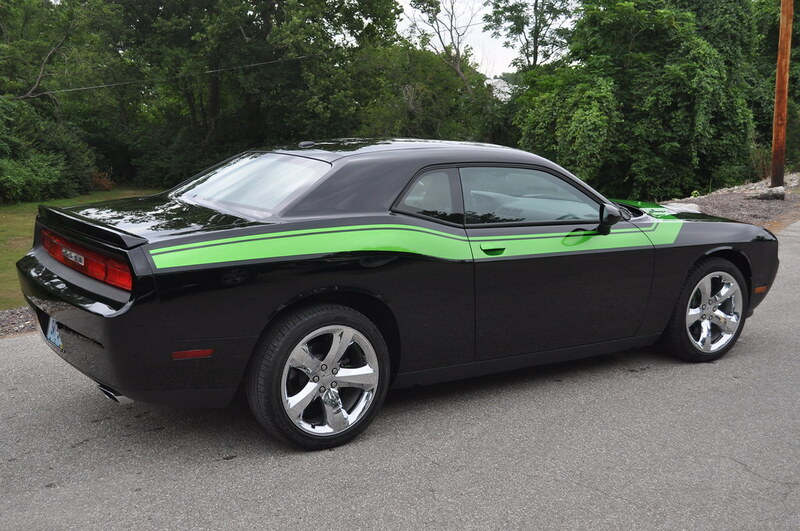 This one is sure to grab a lot of attention. 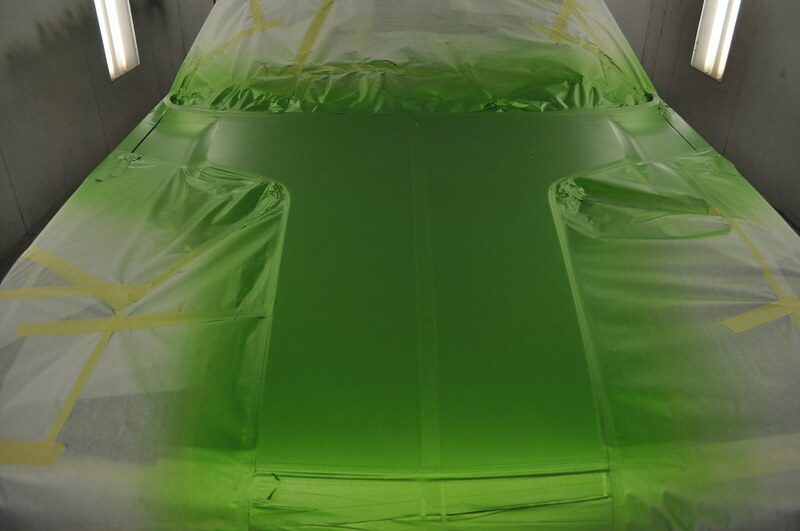 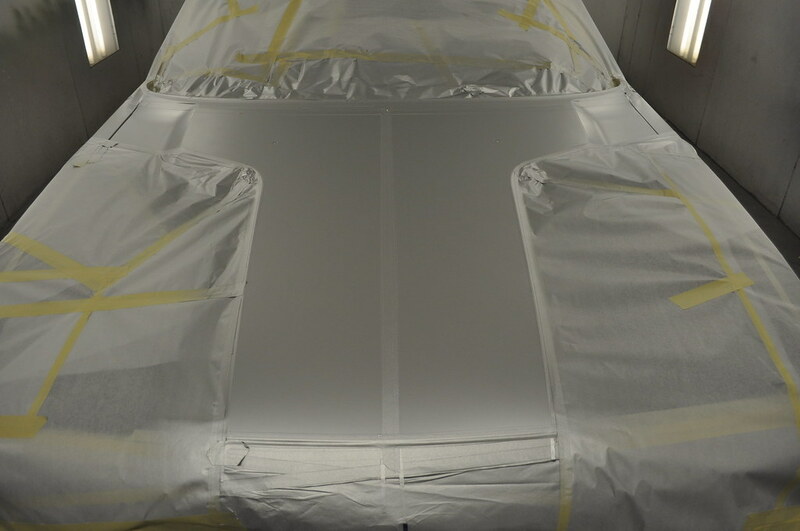 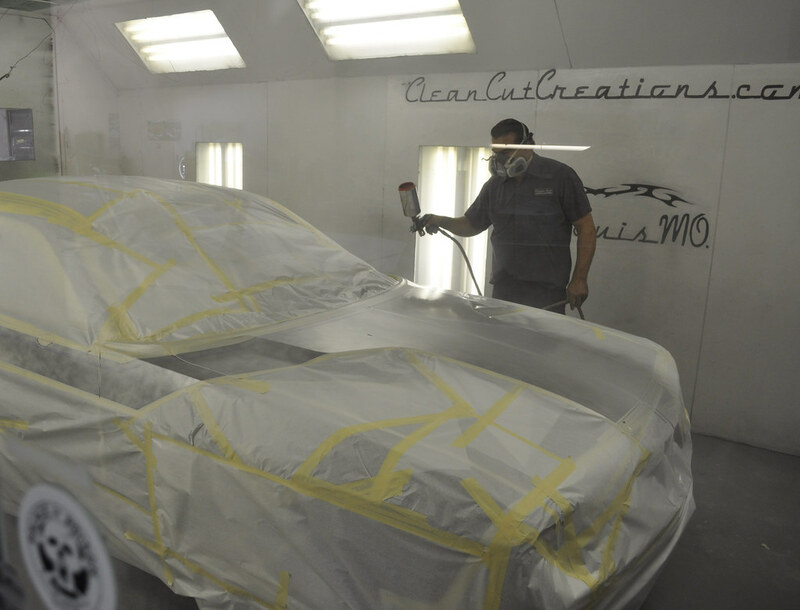 Although our primary focus is on classic and vintage automobiles we certainly can and do work on any and all of the late model specialty cars. 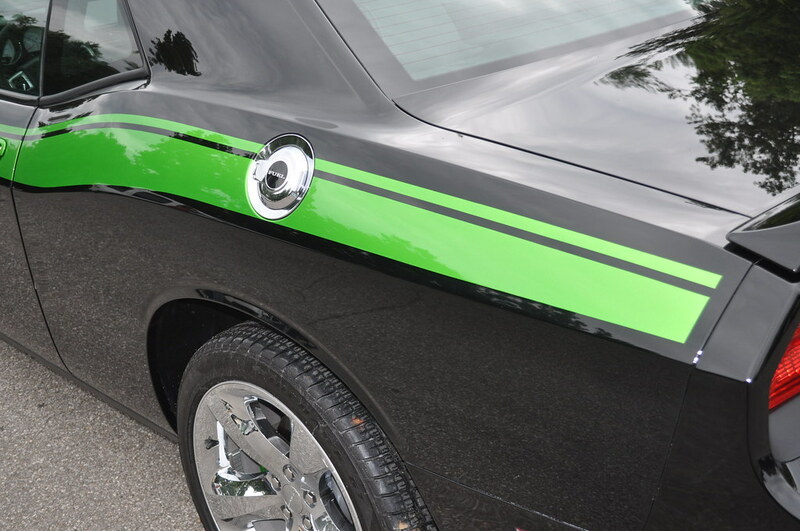 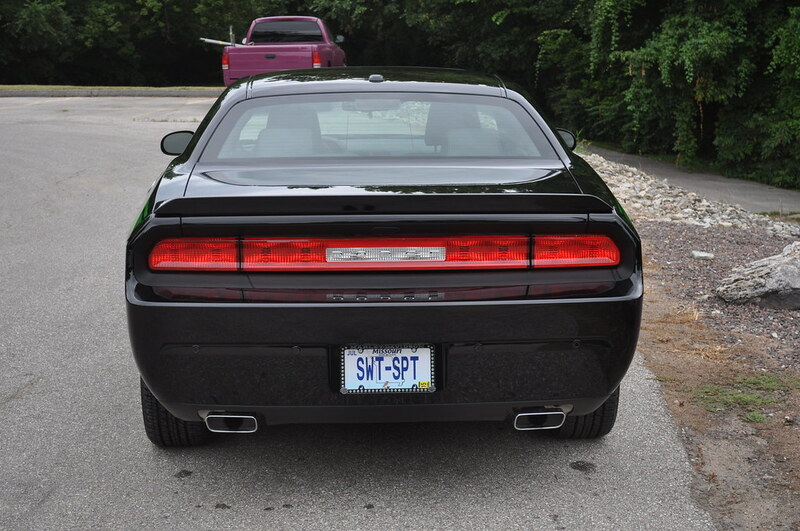 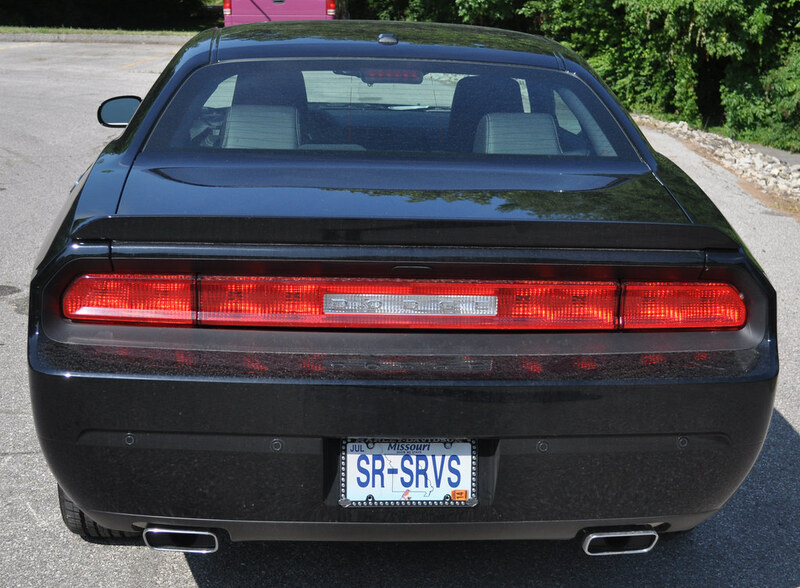 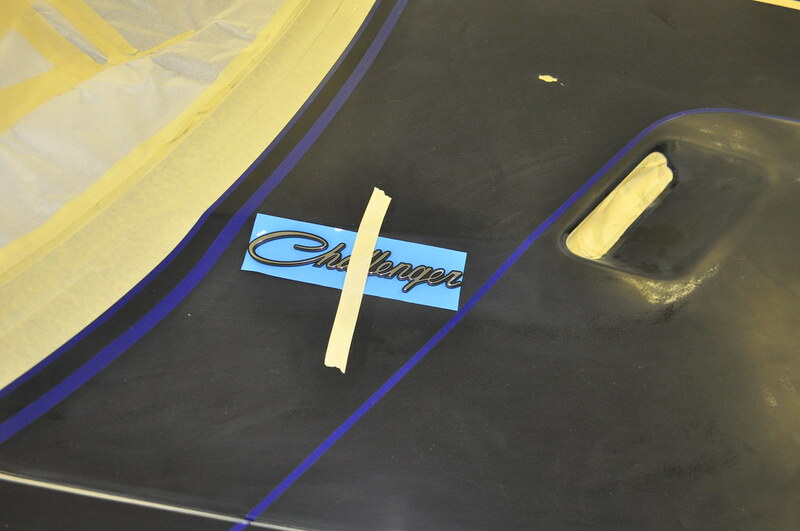 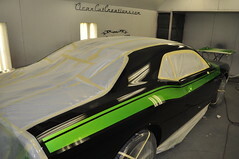 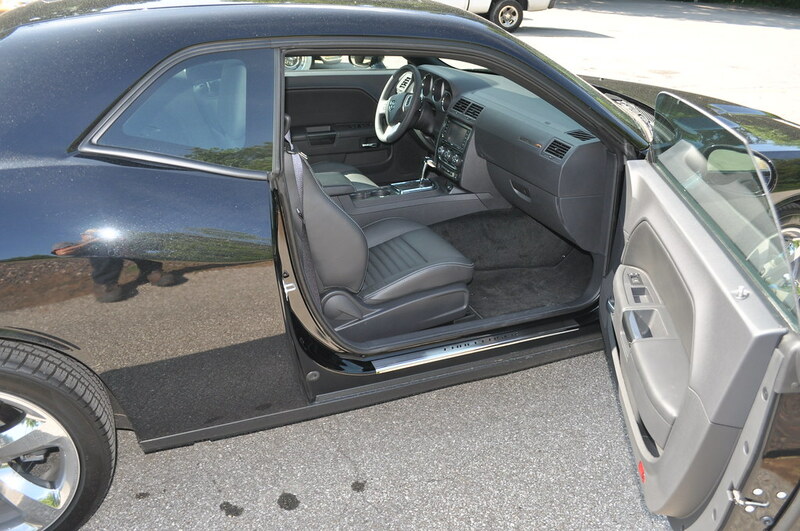 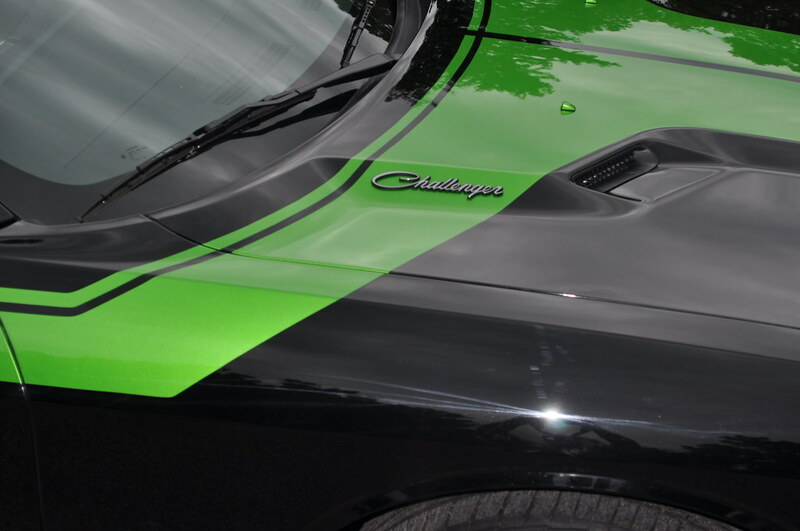 We have customized quite a few of the 5th Gen Chevy Camaros, the new Mustangs and Challengers. 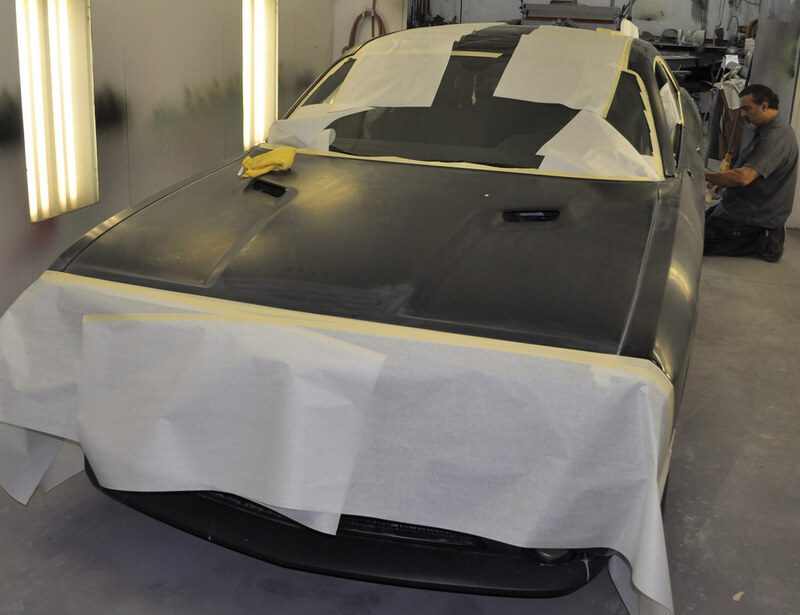 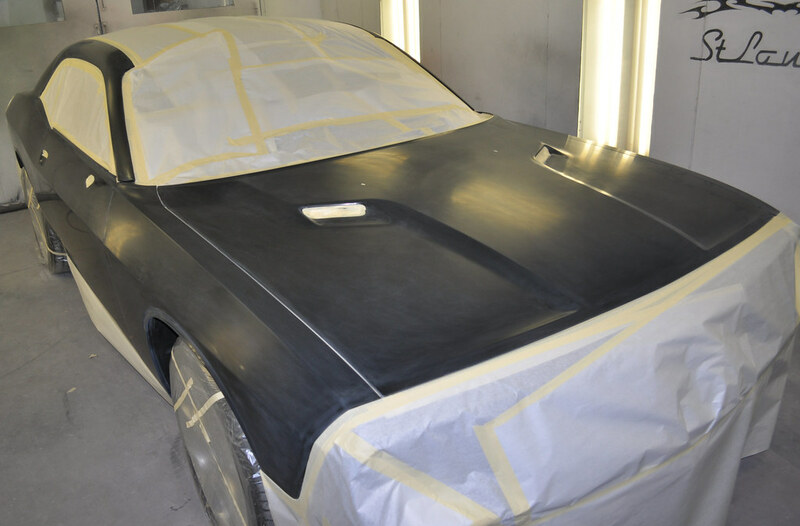 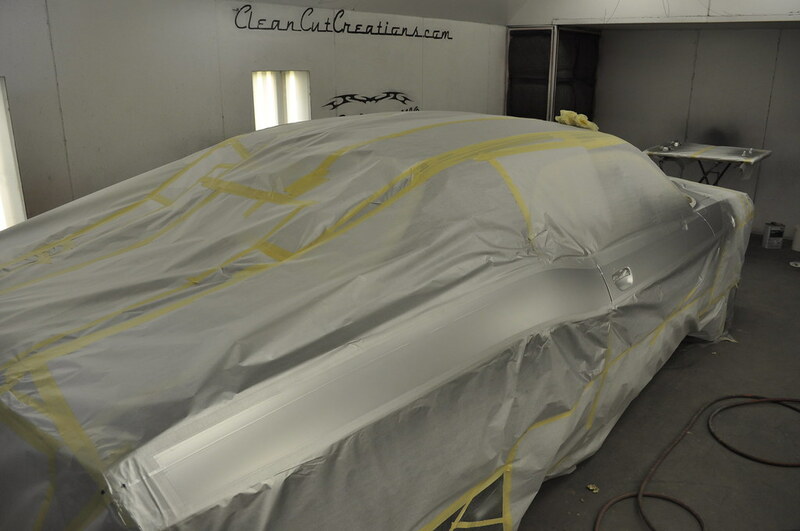 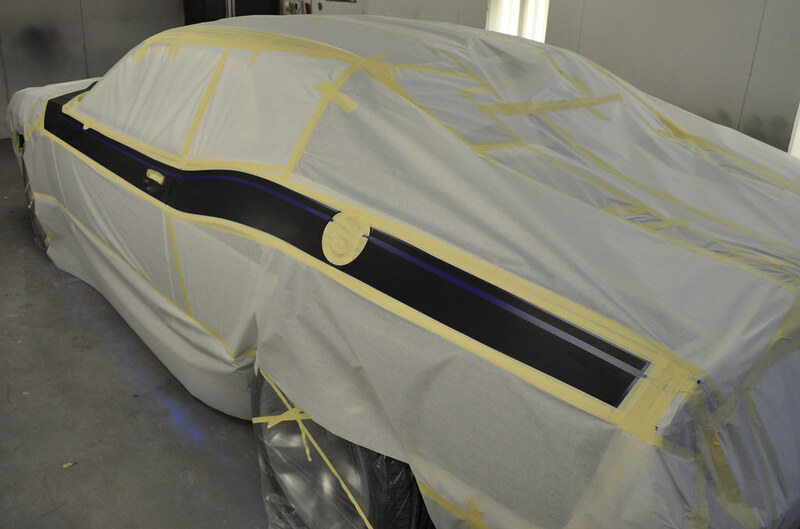 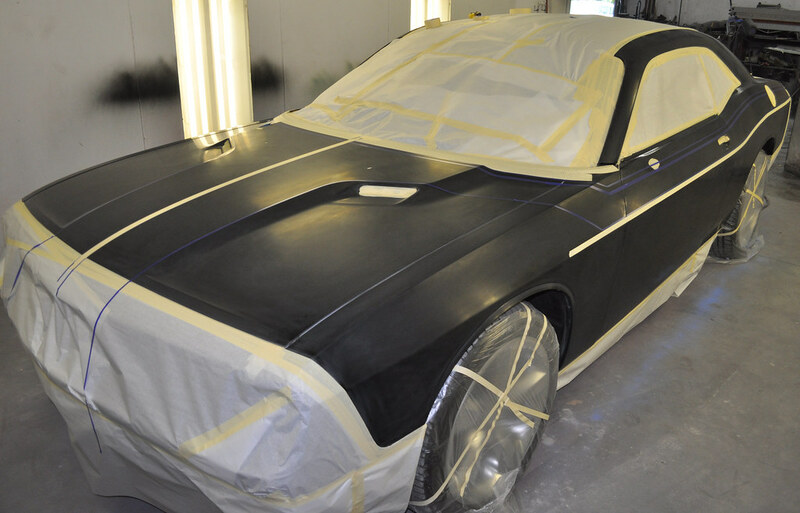 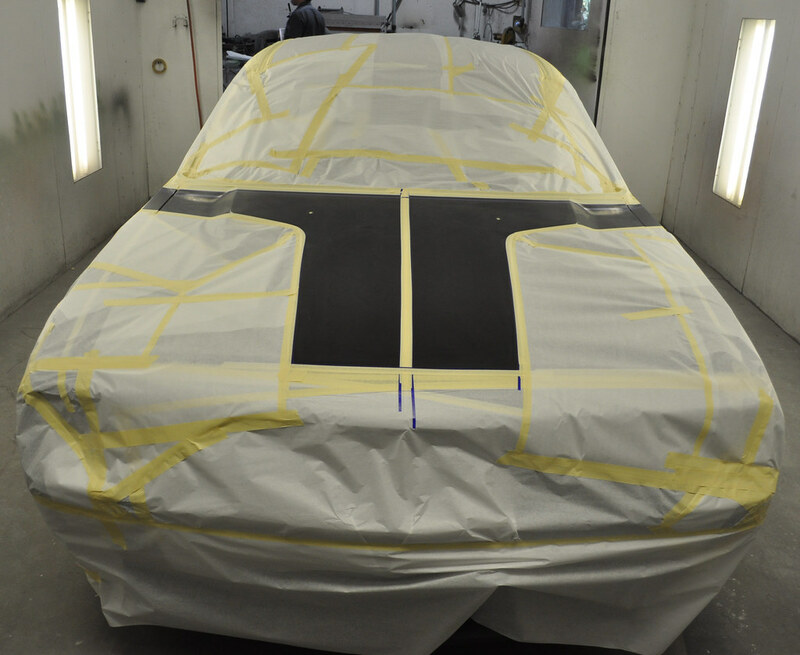 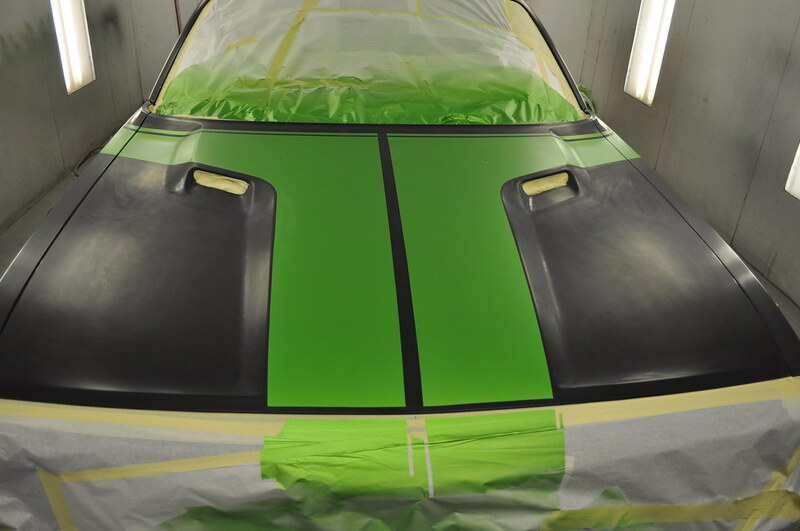 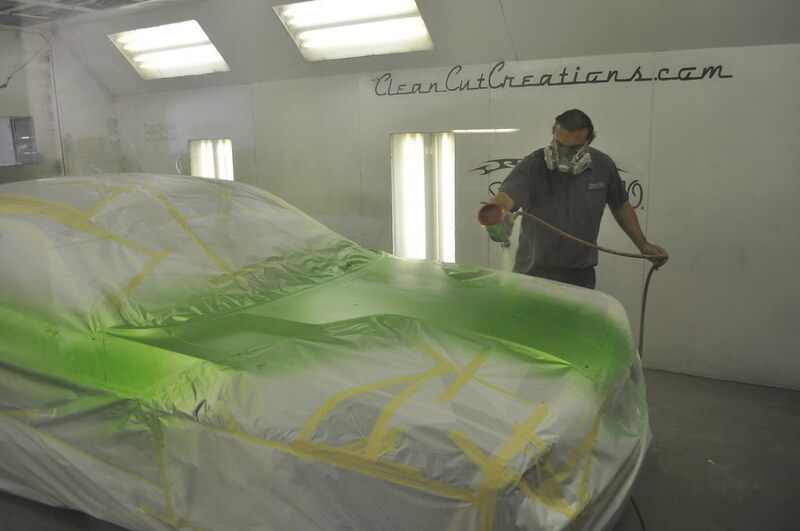 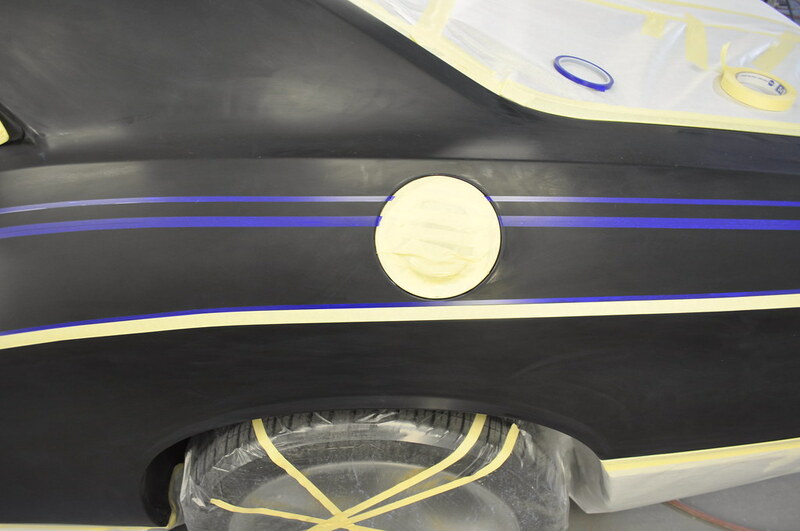 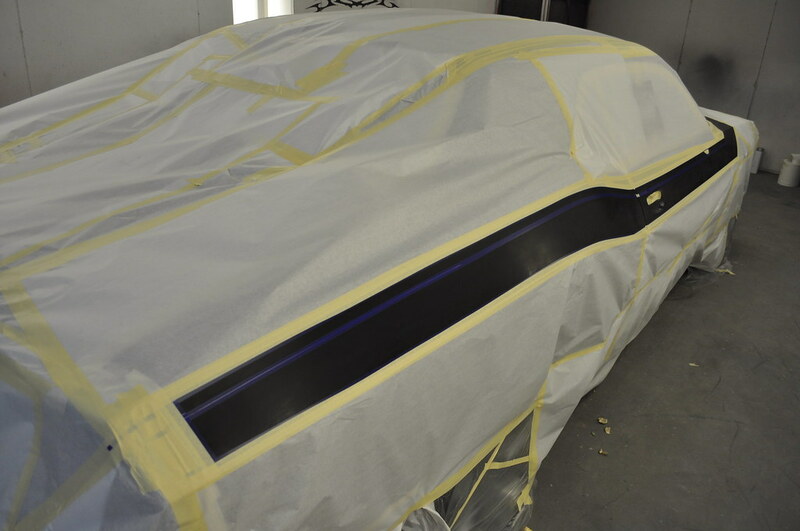 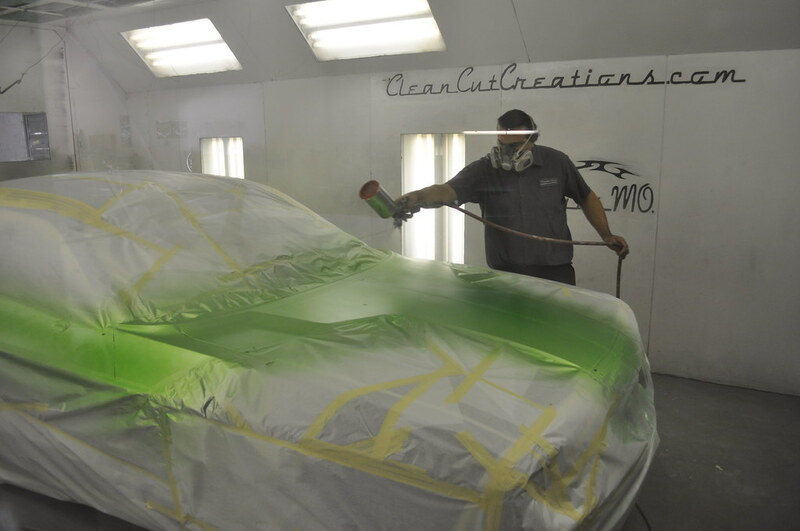 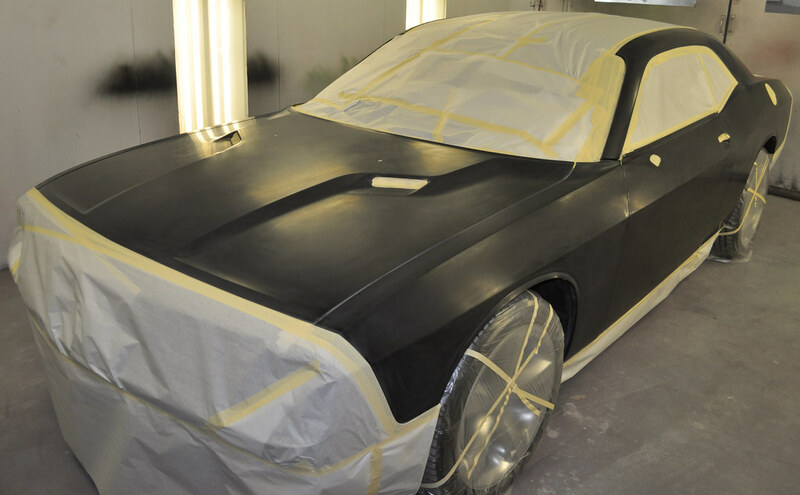 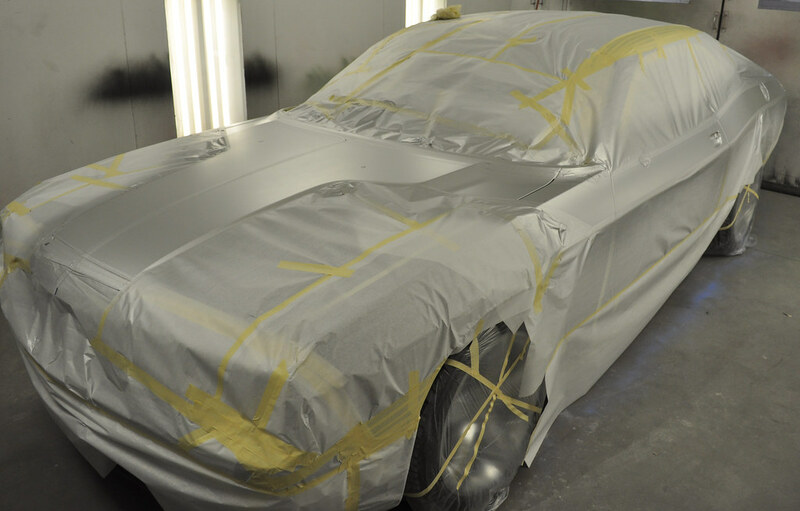 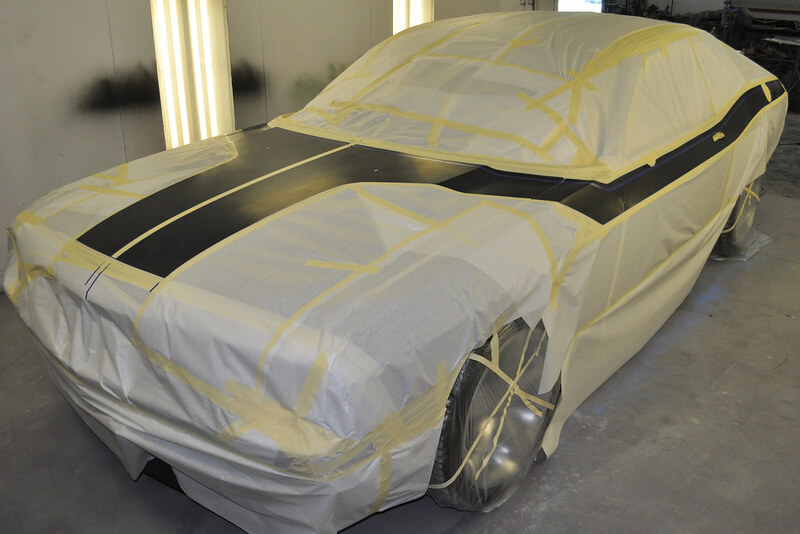 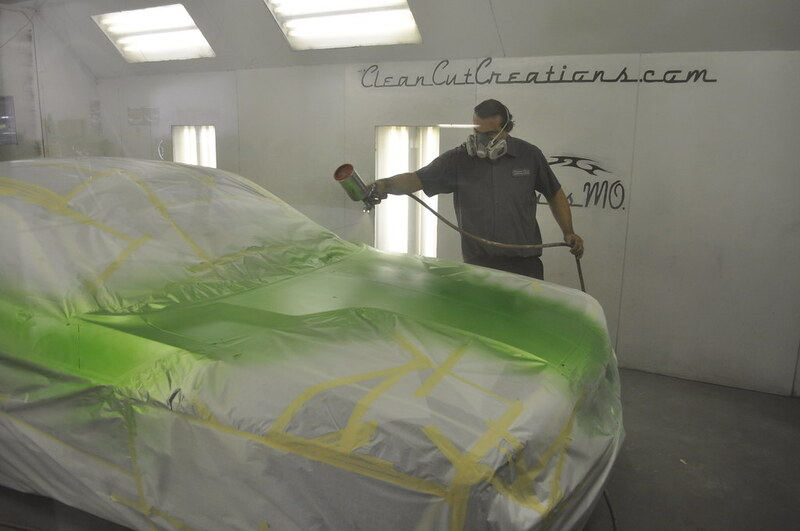 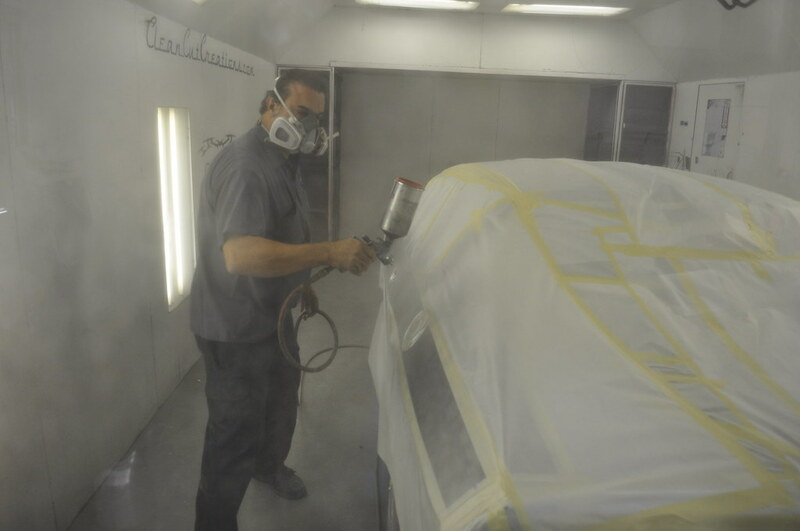 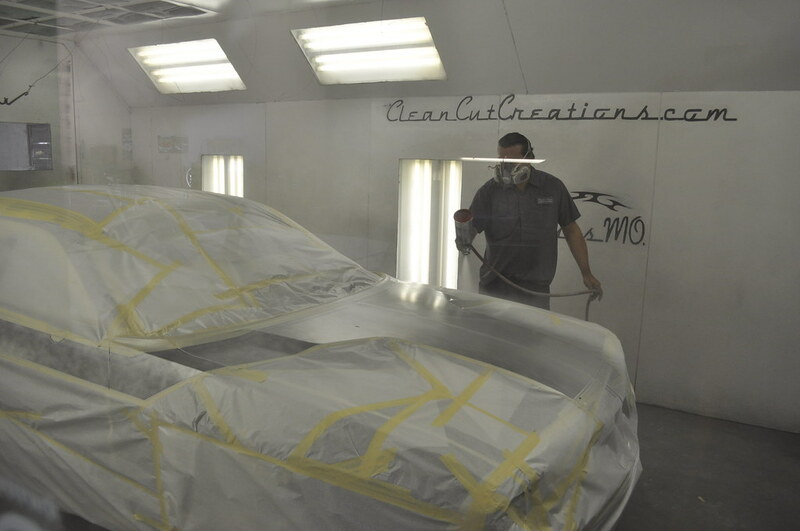 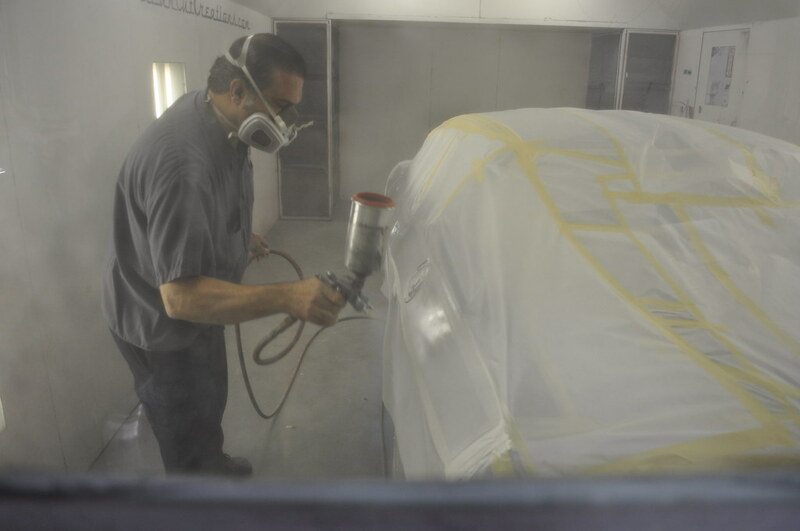 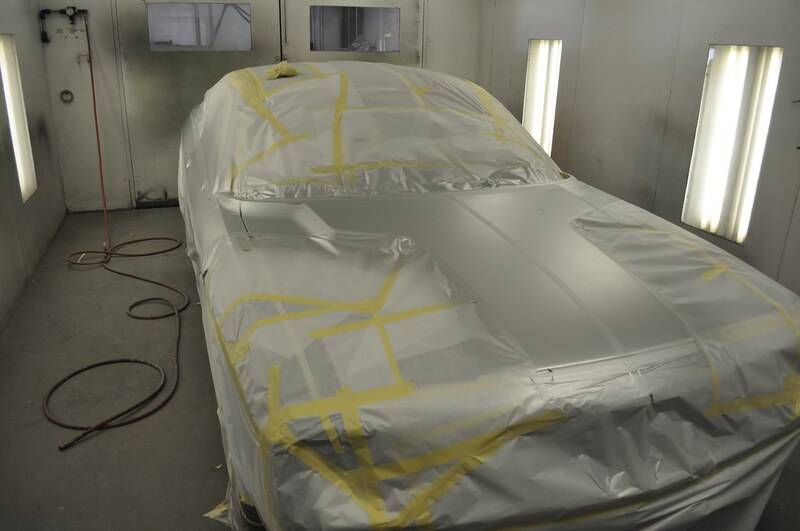 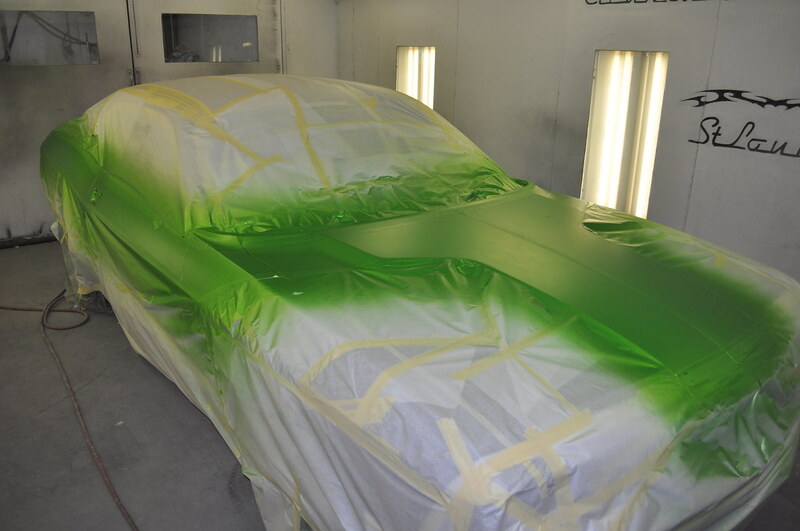 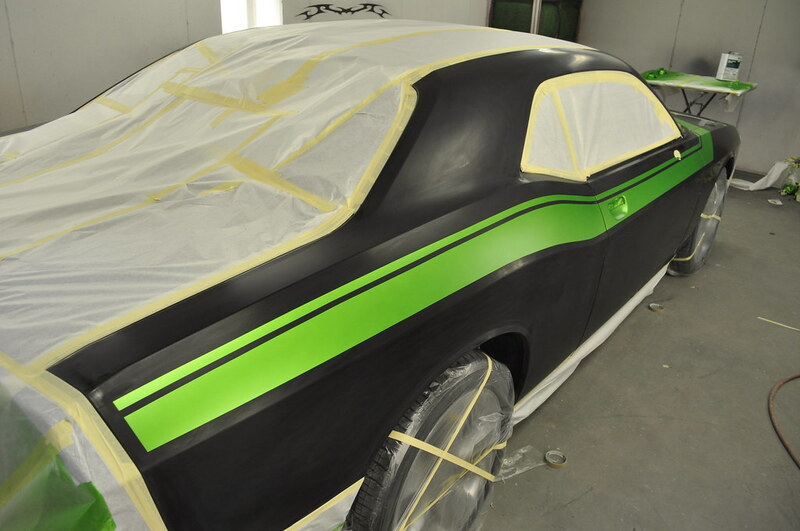 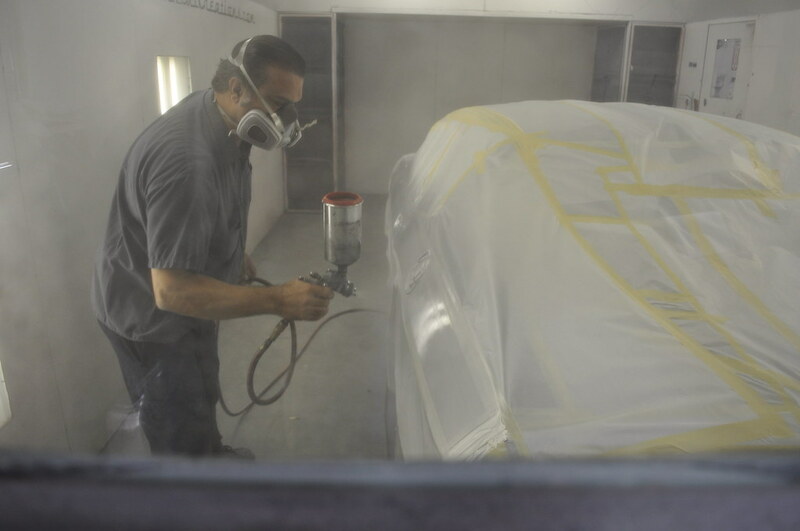 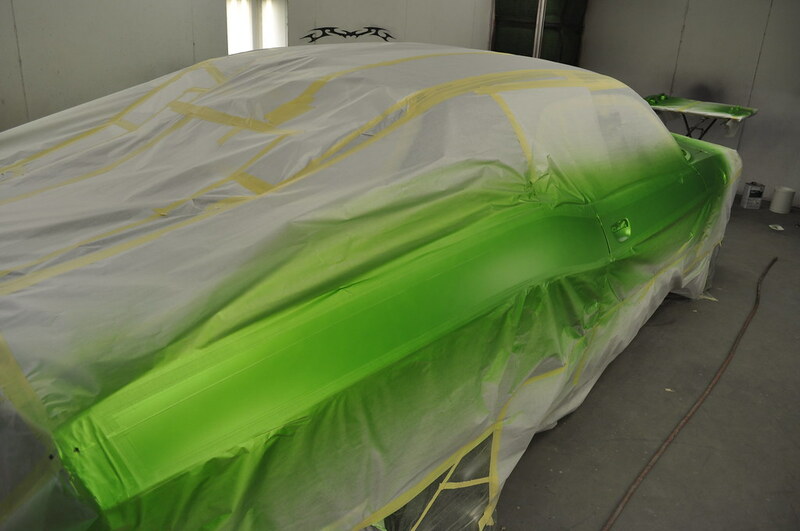 We’re no strangers to custom paint and body work. 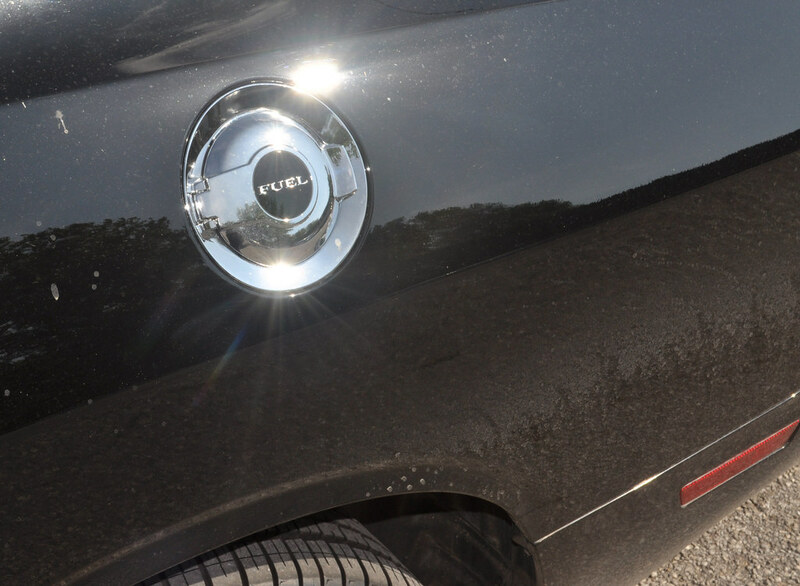 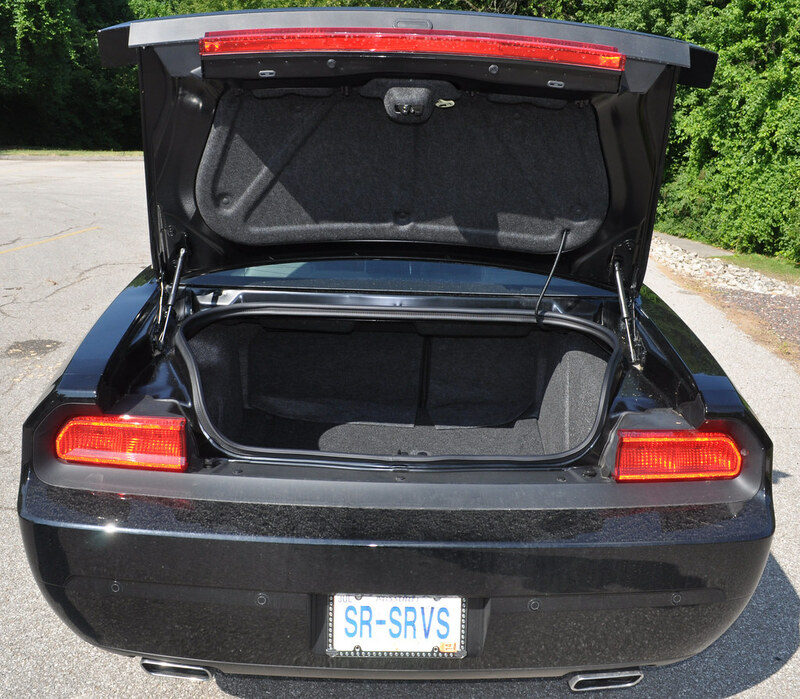 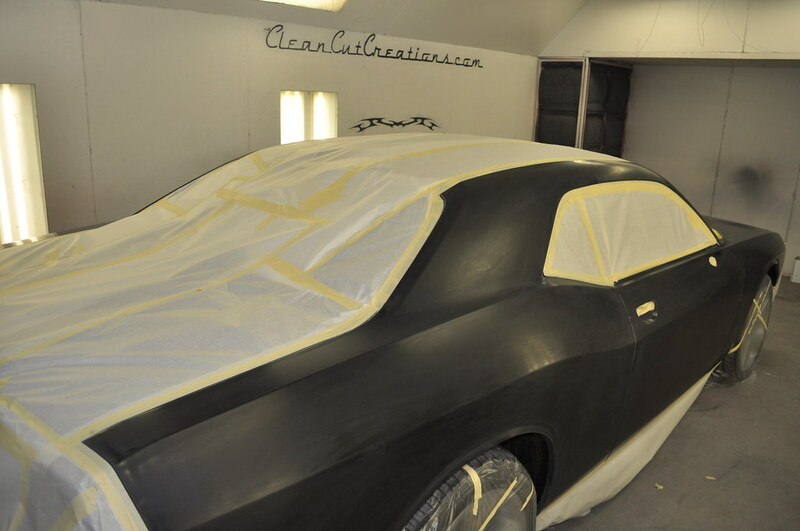 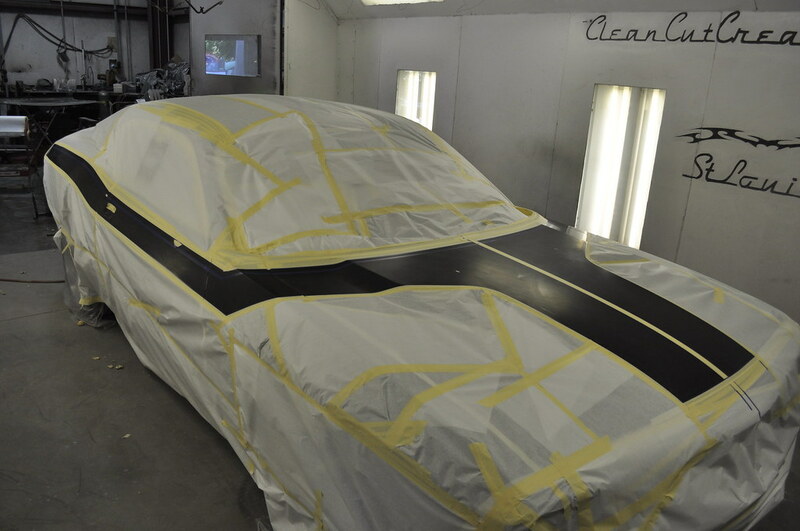 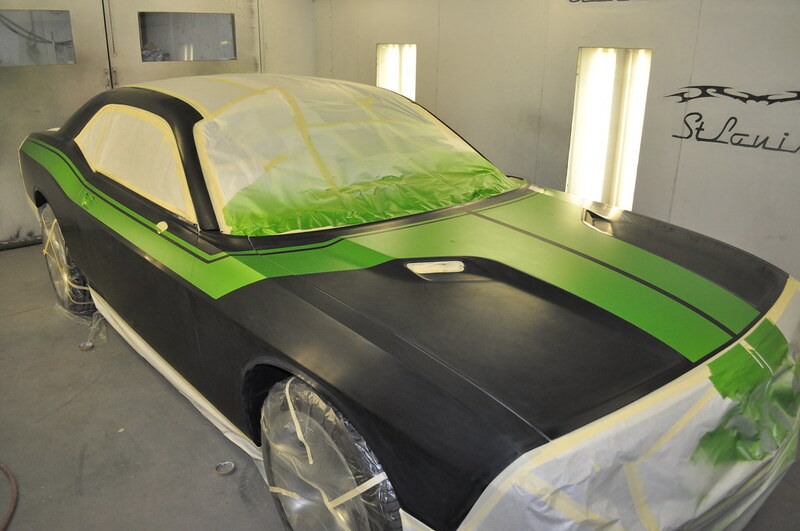 Take a look at our late model projects gallery to see more. 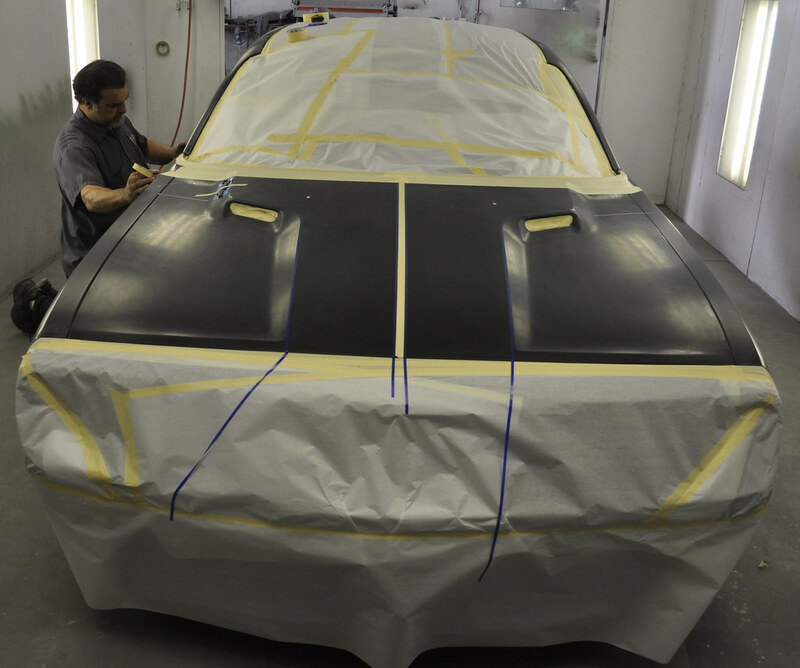 No project is too big or too small for us to handle. 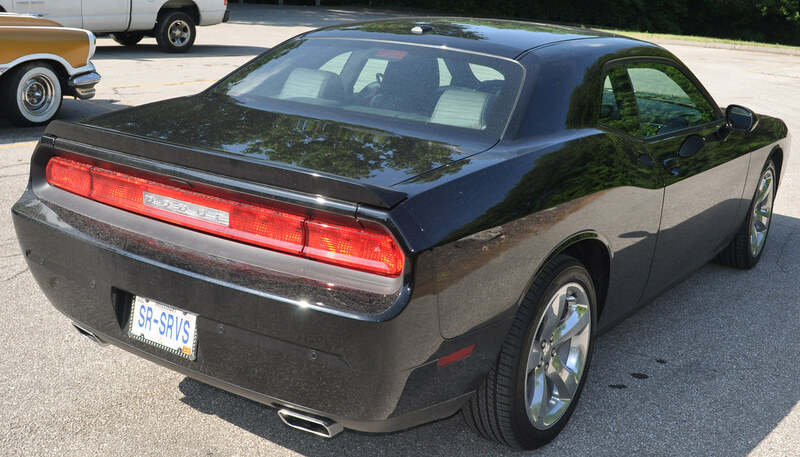 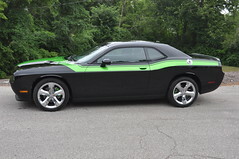 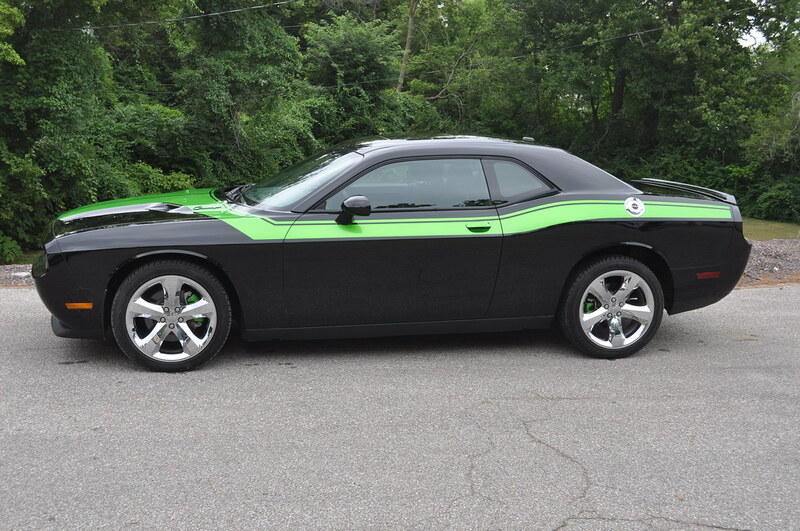 The Dodge Challenger Concept was unveiled at the 2006 Detroit Motor Show and was a preview for the 3rd generation Dodge Challenger that started its production in 2008. 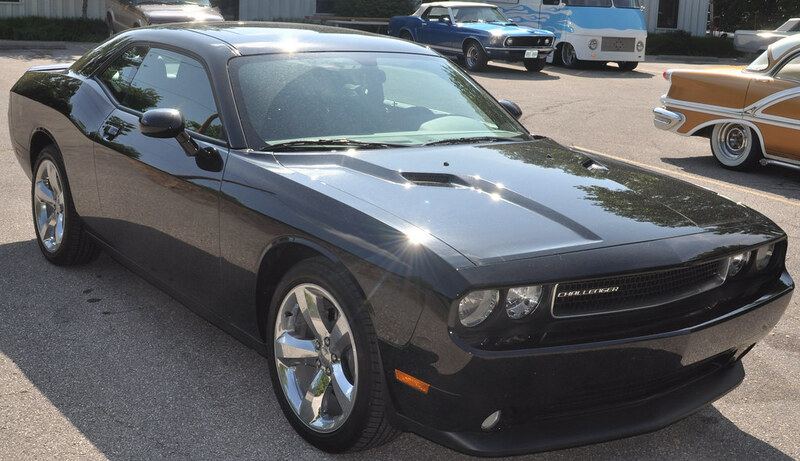 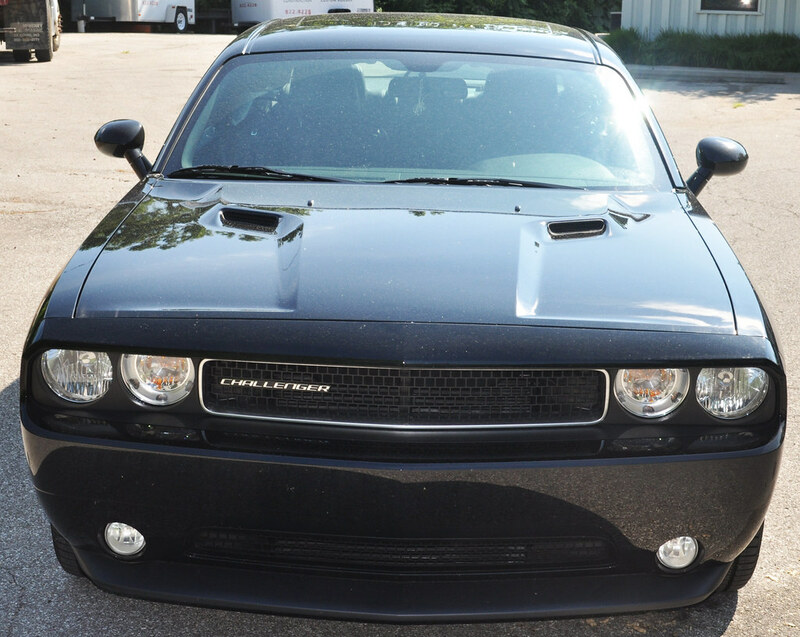 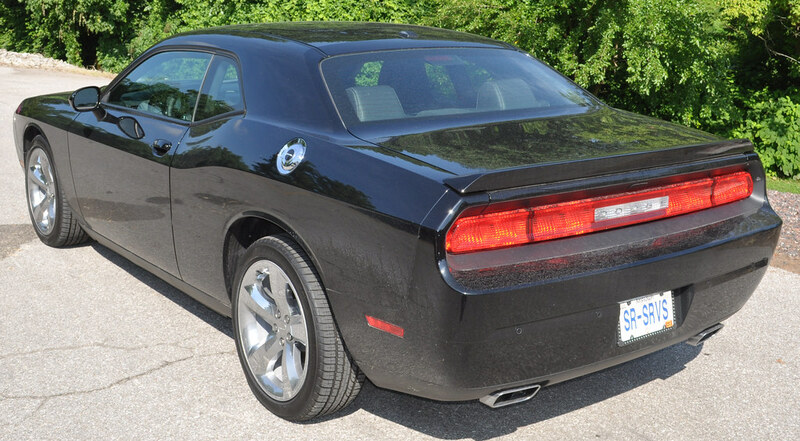 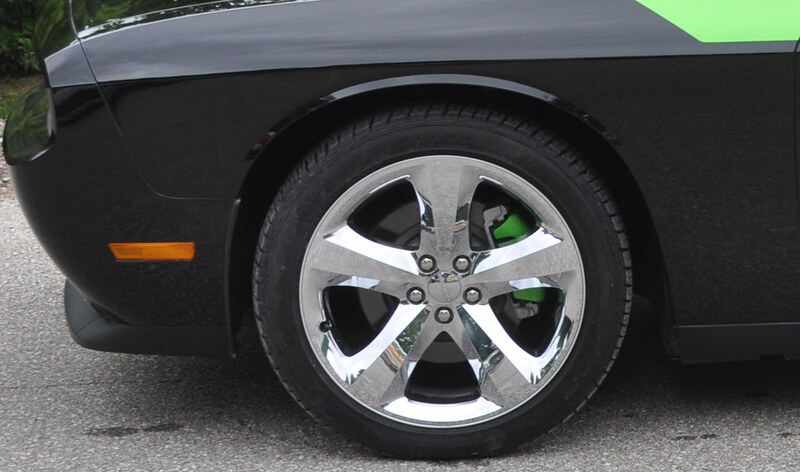 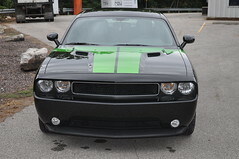 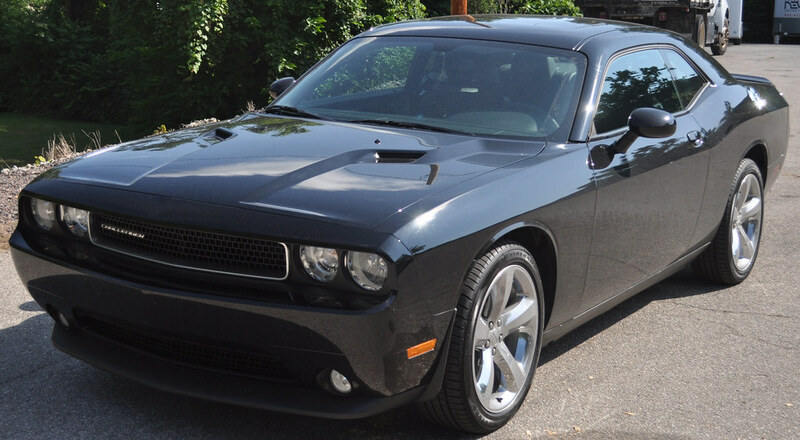 Many design cues of the Dodge Challenger Concept were adapted from the 1970 Dodge Challenger R/T.